Last night, my family and I went to see Divergent. I have to say, I absolutely loved the movie. I haven’t read the full series yet. I’m not sure if I’m going to read them. I found out what happens at the end of the series and that took all of the motivation out of me to read the books. It was full of action and suspense. I love a good movie or a book that keeps me guessing and my heart racing. Divergent definitely kept moving fast, and I was completely engrossed in the story the entire time. Theo James: Need I say more? Not only is this guy hot, but also he can act. For me, he played the badass “Four” perfectly. 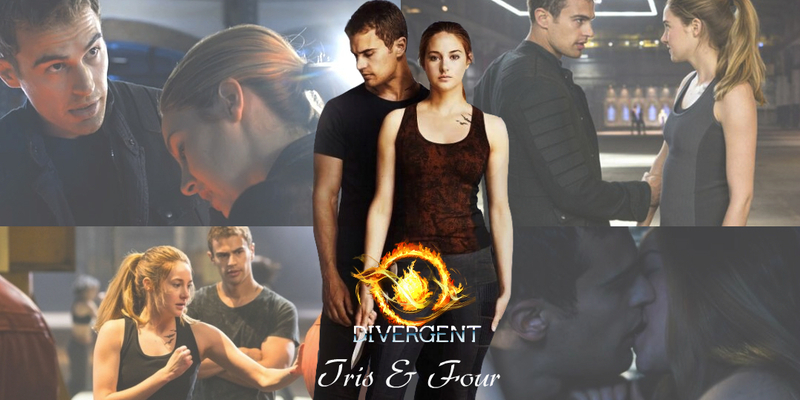 I loved the chemistry between Tris and Four. Although it was subtle, every time they touched, I could feel the attraction between the two. I hate weak female leads. Tris is tough and not a quitter. And I was pleased that Shailene Woodley was able to pull this off. I thought the fight scenes with Tris were pretty awesome- especially at the end, when she was fighting Four. Although I wish Tris’s relationship with her friends was developed more, I’m glad that they did spend some time on her relationship with Four. I think this is crucial, and I felt that the director nailed it. I strongly recommend all of you to see this movie. My entire family enjoyed it, including my nine-year-old son. I think it’s got something for everyone. Now, am I going to read the books? I haven’t quite decided yet. I will see the rest of the movies though. And, I’ll probably go back and see Divergent again. I know many of you will probably disagree on this with me, but I do hope that the ending of the series is changed for the movies. I can’t help it. I hate the ending of the series! Posted on March 22, 2014, in Uncategorized and tagged Divergent, movie review, Shailene Woodley, Theo James. Bookmark the permalink. Leave a comment.